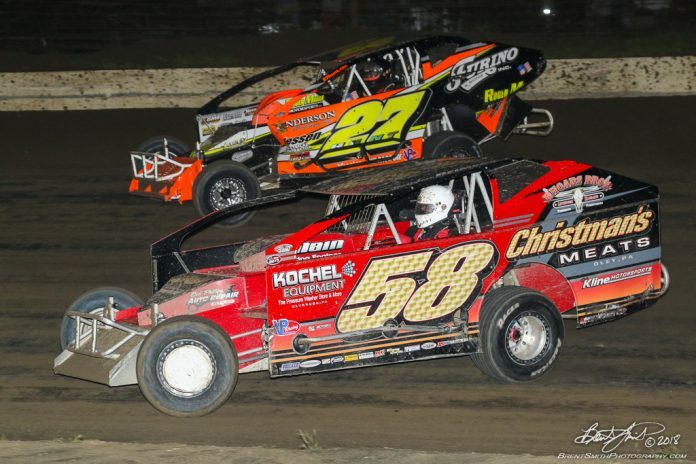 BECHTELSVILLE, PA – Nothing would make Oley, PA’s Louden Reimert happier than to do well, exceptionally well, maybe even win the VP Racing Fuels Bruce Rogers Money Maker Classic, a 50-lapper featuring many of the best area talents in 358 Modifieds and Big Block Modifieds, at Grandview Speedway on Saturday, April 6th at 7 p.m. In addition to getting a big share of the lucrative prize money, close to $50,000 being offered, it would be a great way to kick off the celebration of his 18th birthday that is coming up. The young racer who won the 2018 NASCAR T.P.Truck Equipment Sportsman championship using consistency, will be a full time racer on in the Grandview Speedway T.P.Trailers 358 Modified division. He is anxious for the season to start. In fact he did get his season started a couple weeks back when he traveled to Syracuse, NY and won an indoor Len Sammons produced Slingshot race. Reimert has tested the waters in 358 Modifieds and run last year in the first Rogers Memorial and in the rich Freedom 76 Classic. He qualified and did well racing against some of the top names in the business. The personable young racing talent comes from a family of racing people. One grandfather bought him his first quarter midget and got him on his way. He has watched as his father Shawn performed well, five career feature wins, with the Modifieds at Grandview. And Grandfather Terry was a talented racer at the Bechtelsville, PA clay oval. Even Mom is behind the scenes doing her part to help the team. 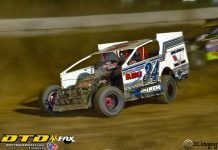 Reimert is very excited about this season as is the team as they have a good car and motor provided by owner Doug Flurer who has provided equipment for such standouts over the years as Jason Hamilton, Rick Laubach and others. Still in school taking vocational classes in machining he also works at Christman’s Meat Market, a name well known in the sport. All the free time is spent with the team working on the race car. Sponsorship support will come from Kochel Equipment, a longtime supporter of the Reimert family racing activities, Rhoad’s Brothers Livestock and Christman’s Meat Market plus others. Though Louden is looking to race in events at other tracks, and effort to improve his racing skills, his main effort will be at NASCAR sanctioned Grandview Speedway and it all gets started with the $7,500 to win VP Racing Fuels Bruce Rogers Money Maker Memorial on April 6th which will see him pitted up against many top talents. This race does not carry a NASCAR sanction and is open to both 358 and Big Block Modifieds. Every racer making the main event will earn at least $1,000. 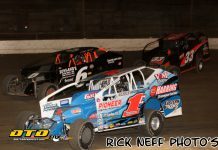 Also attracting a lot of attention will be a strong field of the popular Sportsman stock cars making up the second part of this special doubleheader event. The winner of this event walks off with $750 and each driver to make the starting field will earn $125. Those wishing to register for the Rogers Memorial, there is no license required and no entry fee, can do that by telephoning or texting Tina Rogers at 484.256.4375. An early entry could very well gain exposure for the team and their sponsors. For the second year in a row adult admission will be $28 while youngsters 6 through 11 pay just $5. Kids under six are admitted FREE. Pit fee is $35. The rain date is set for Saturday, April 13th. A doubleheader show is scheduled for Grandview on Saturday, March 23rd, at 1 p.m. with Outlaw Enduros and Blast from the Past Vintage cars in action. Then on Saturday, March 30th, 12 noon, fans will be admitted free to practice session that features all sorts of race cars testing their equipment for the new season. That will be a good time for fans to pick out their seat and purchase as $350 season ticket that includes all Saturday Rogers Family racing events between April and the end of September. Grandview Speedway is a one-third-mile banked clay track located on Passmore Road, just off Route 100 in Bechtelsville, PA, 10 miles north of Pottstown. Information on racing events including a full schedule can be found at www.grandviewspeedway, check them out on Facebook or telephone 610.754.7688.